Introducing Col. Violet of the Red Ribbon Army! Yes, Col. Violet, sure she is money hungry. 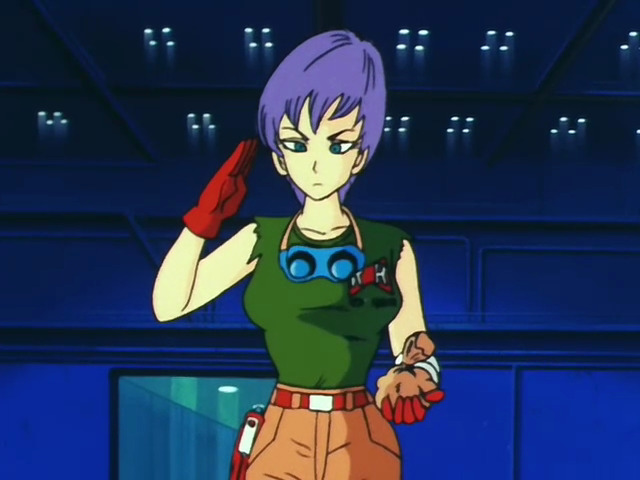 Ok, she is ruthless and crafty for her search for the dragon balls for her sadistic leader Commander Red. Yes she leaves behind her own subordinates even to their deaths as she did when her boat was being chase by a giant sea monster. She threw two of soldiers under her command into the water to lessen the weight the boat. The soldiers died a horrible death but she escape with the dragon ball. 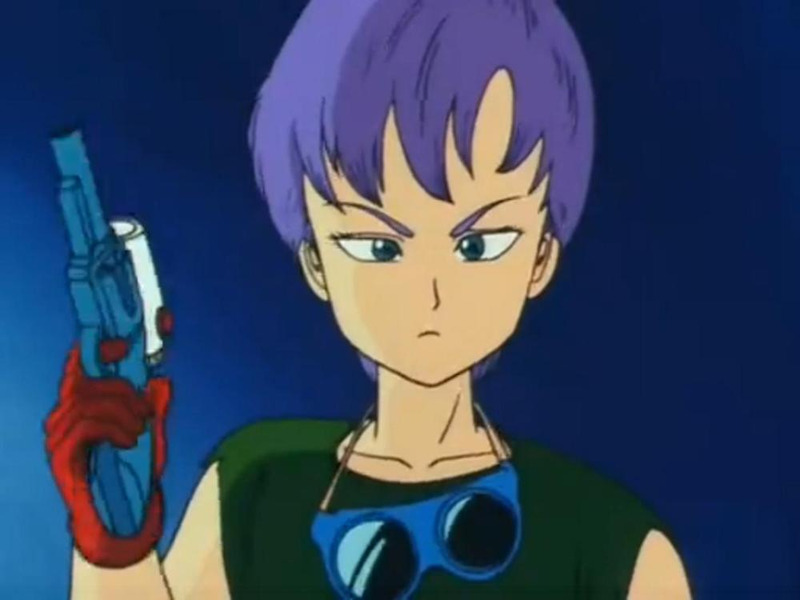 And yes when the Red Ribbon Army’s headquarters was being utterly destroyed by a vengeful young Son Goku she did flee and store all the reminding money and assets from Commander Red’s vault even though a few hour earlier she received a bonus from the same vault for giving the dragon ball to her leader (yes the same ball that she killed two of her soldiers on her getaway). 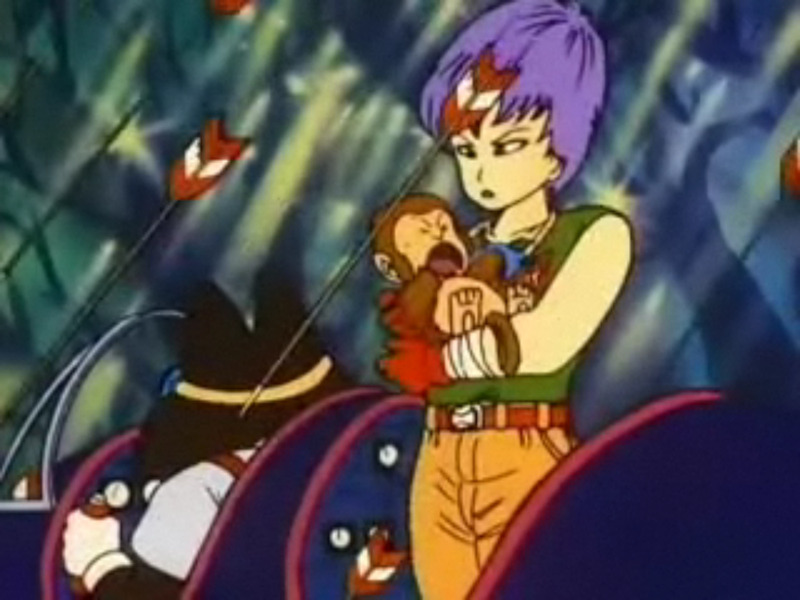 She also risked her life to save this young primate while getting attack by a ruthless tribe. She even cared for the creature even though she was dodging swam of arrows as displayed above. This alone makes her anti-hero; modern day Dian Fossey!